Posted on October 7, 2013 by Anna C.
Gonorrhea is that guy with the funny name who’s always up to something new and mischievous. 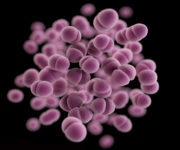 Last year, the New England Journal of Medicine declared that it’s “time to sound the alarm” in response to emerging strains of gonorrhea that are increasingly resistant to antibiotics. Then, earlier this year, the medical journal JAMA reported the first North American sightings of gonorrhea that failed treatment with cefixime, one of the last drugs we have in our anti-gonorrhea arsenal. 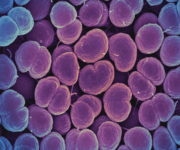 It’s a great time to be a gonococcus — the type of bacteria that causes gonorrhea — but the humans they infect probably don’t see it that way. 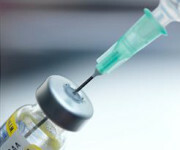 Antibiotic-resistant gonorrhea is an “urgent” threat; meanwhile, researchers develop a gonorrhea vaccine that works — on mice. 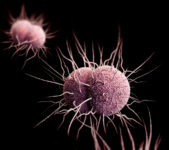 Antibiotic-resistant gonorrhea is especially insidious for two reasons. One, gonorrhea often doesn’t have symptoms, which allows it to jump from one sexual partner to another, the hosts often none the wiser. 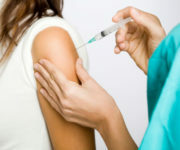 Two, unless health care providers actually test the bug’s DNA, they have no way of knowing whether or not they’re dealing with a drug-resistant strain. This opens up the possibility for treatment failure — and for the antibiotic-resistant bacteria to be further propagated into the community.